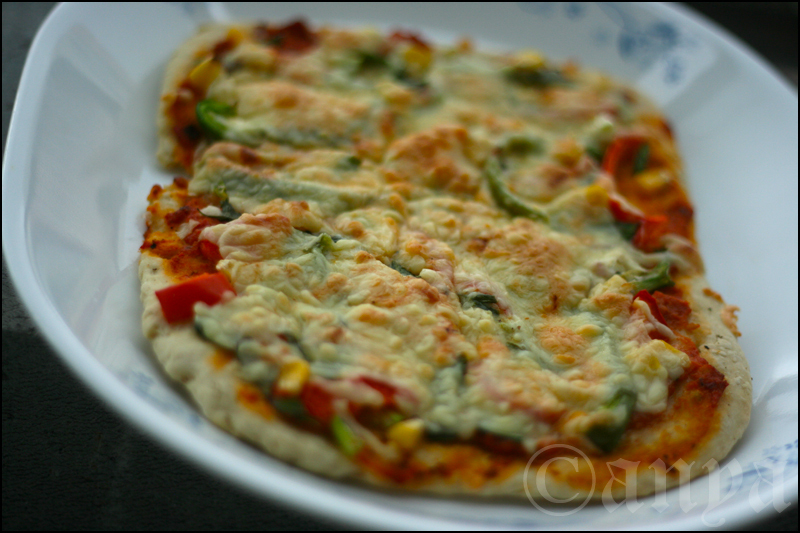 Of pitter-patter, pizza & muffins! 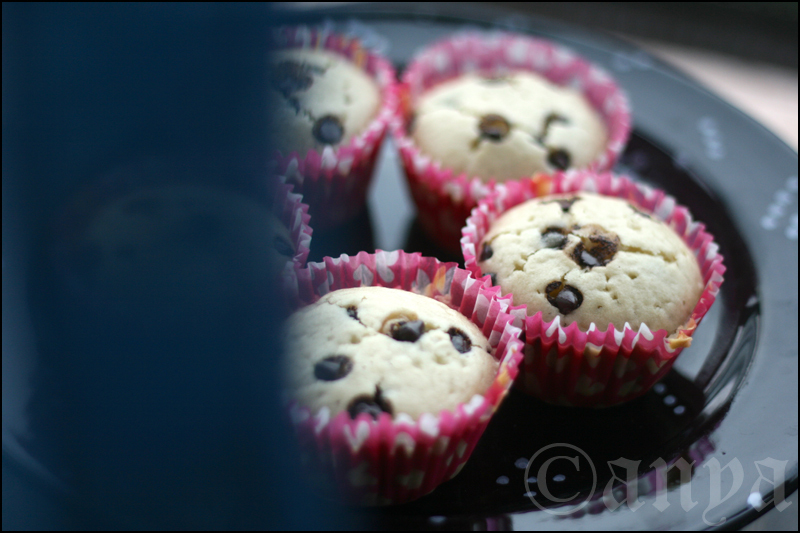 A lovely rainy day like this should be taken in with the wholesome aroma of baked goods. 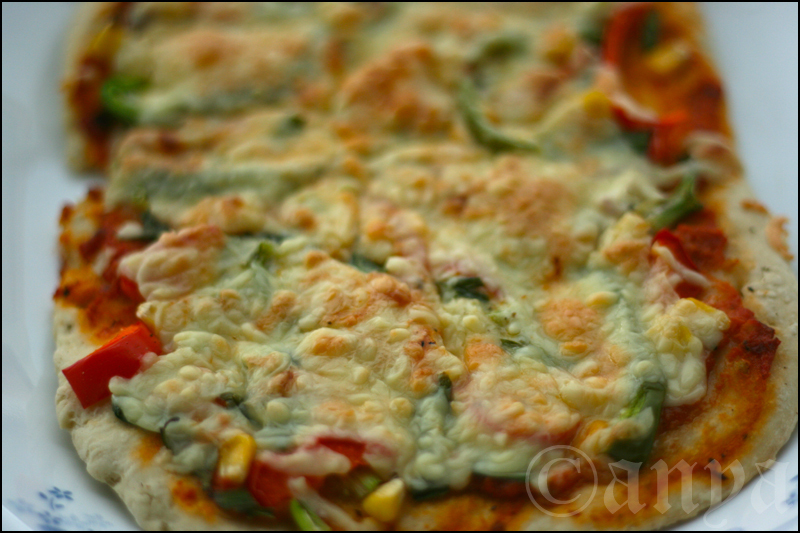 So I kneaded some pizza dough, prepared a zingy tomato sauce, chopped a bunch of colourful veggies and grated a mountain of mozzarella and sent this combination in the oven for a good 10-15 minutes or so and was rewarded with a scrumptious homemade treat. 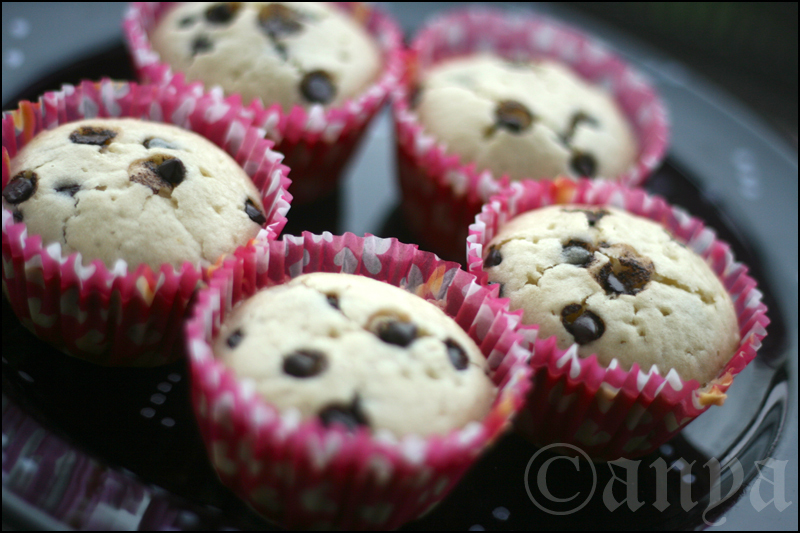 Then I whipped some flour, sugar and chocolate chips and poured it in pretty cups to bake a batch of vanilla muffins. 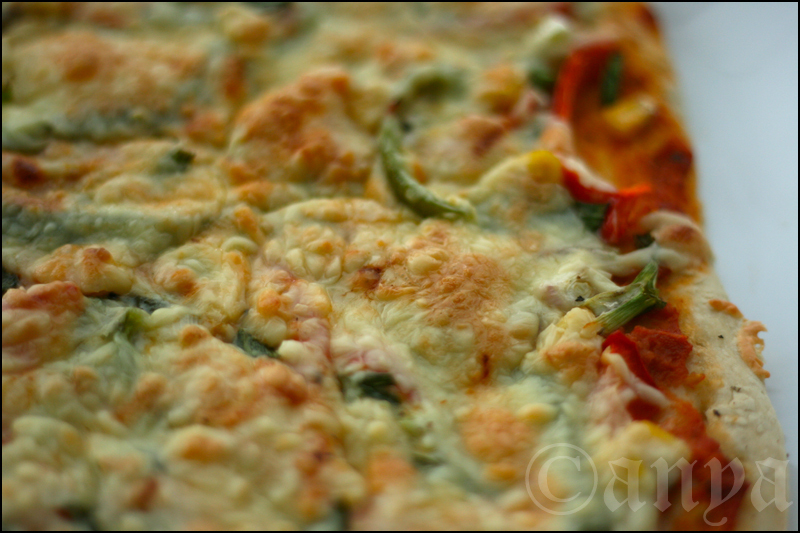 This entry was posted in Photography and tagged baking, cooking, experiments with food, food photography, muffins, pizza. Bookmark the permalink. One Response to Of pitter-patter, pizza & muffins!